Designed for PWC trailer application. 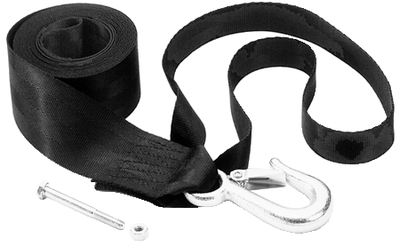 Strap with hook mounting includes 1" x 18" nylon loop for securing PWC to trailer. 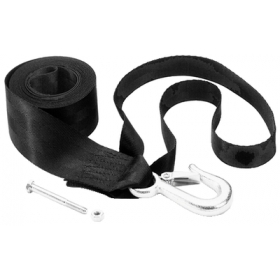 Steel hook has tensile strength of 3750 lbs. Includes bolt 1/4" x 2-1/2". "Best price I found after searching on Google. Fast Shipping. A+"
"Good shopping experience. The person I delt with on line was very helpful. I will shop here again." "Wow, what great, friendly service I received from Jerry! I ordered eight Type I life vests to..."
"The price I paid one third of the price some of the other places ask for. I am very happy with..."